News on the jailbreaking front has been pretty slow as of late. With no release date in sight for a jailbreak compatible with Apple’s latest devices and software, it seems like the rest of the community has sort of quieted down. Shows available SHSH blobs stored on Cydia’s TSS server. Provides a link to the list of firmwares available for the connected device. Supports the latest devices (iPhone 5, iPod touch 5, iPad mini, etc). Has a built-in update checker. Version 1.4 also received a few UI changes, support for the latest jailbreaking scenarios (which devices and iOS versions can be jailbroken, tethered and untethered), and lost the ability to check factory unlock status due to legality reasons. While f0recast isn’t a crucial jailbreaking tool like Redsn0w or Sn0wBreeze, it’s not a bad idea to have it in your arsenal — especially now that it’s been updated. 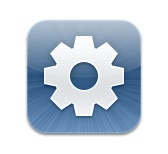 As usual, you can find it and other jailbreak apps on our Downloads page.